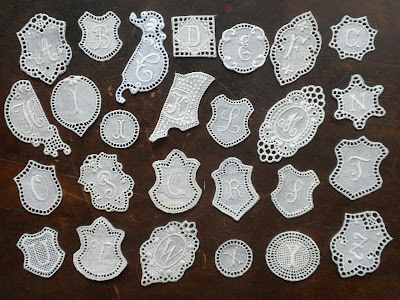 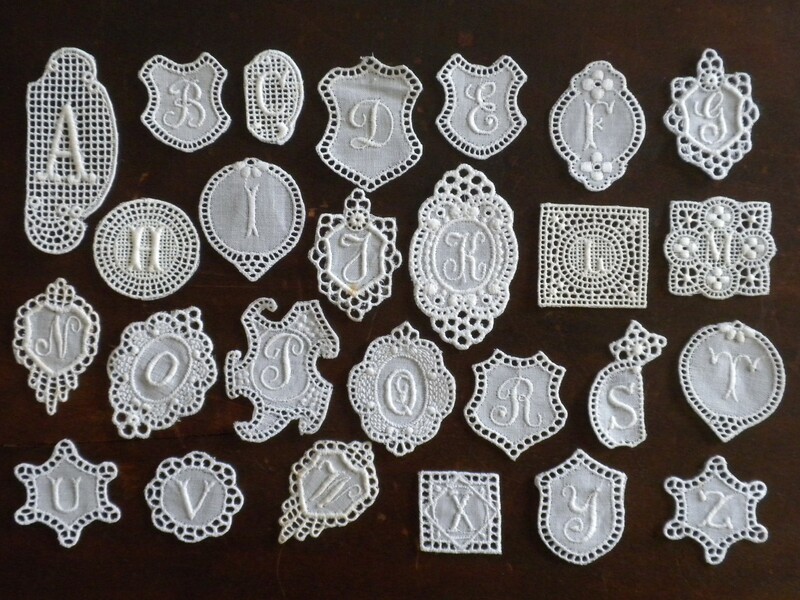 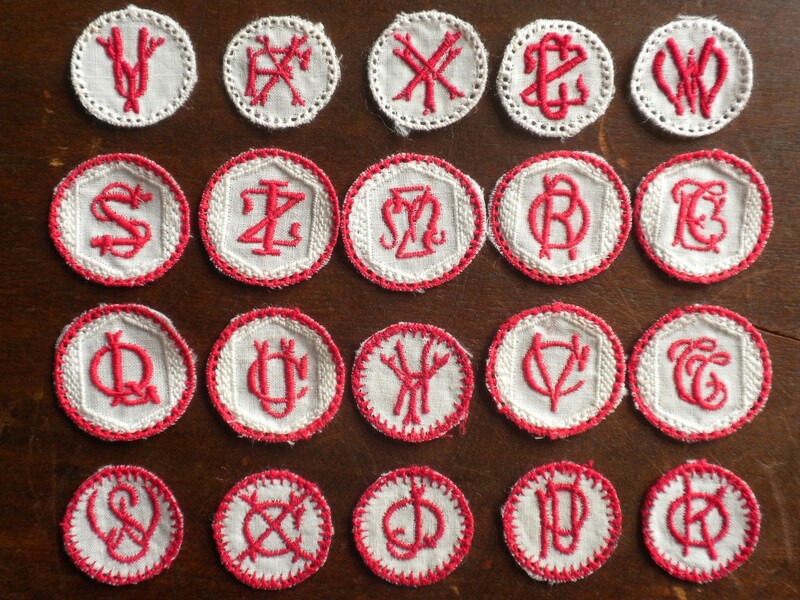 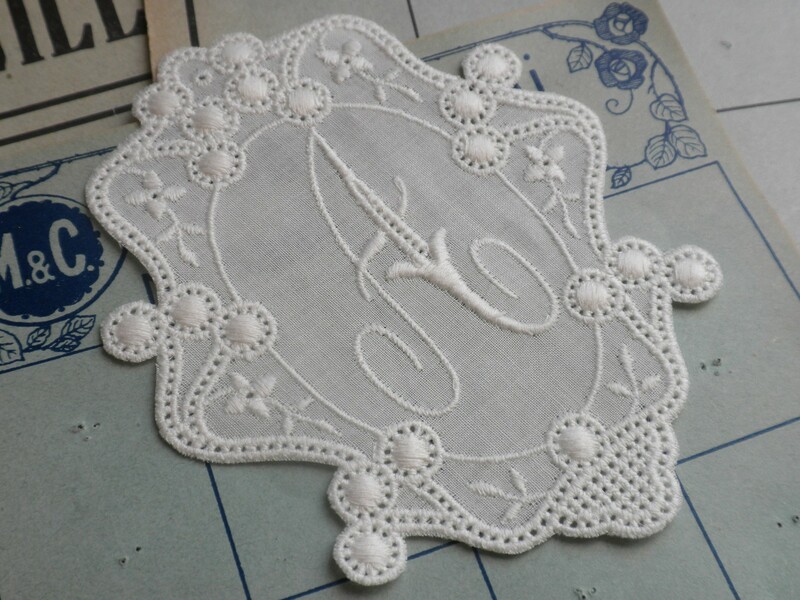 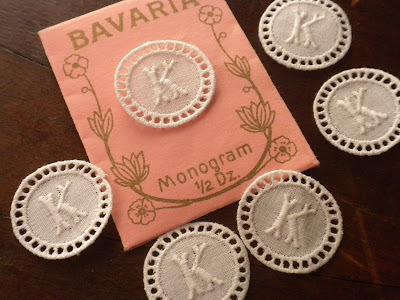 Vintage stock of embroidered initials and monograms from St. Gallen, Switzerland featured in Yebisu's Etsy site. 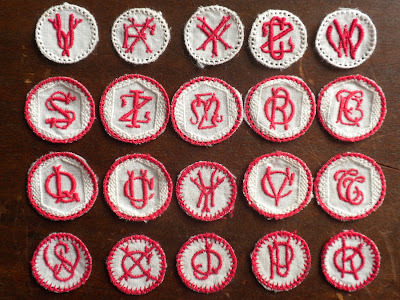 Embroidery production was once the largest export branch of the Swiss economy before World War I. 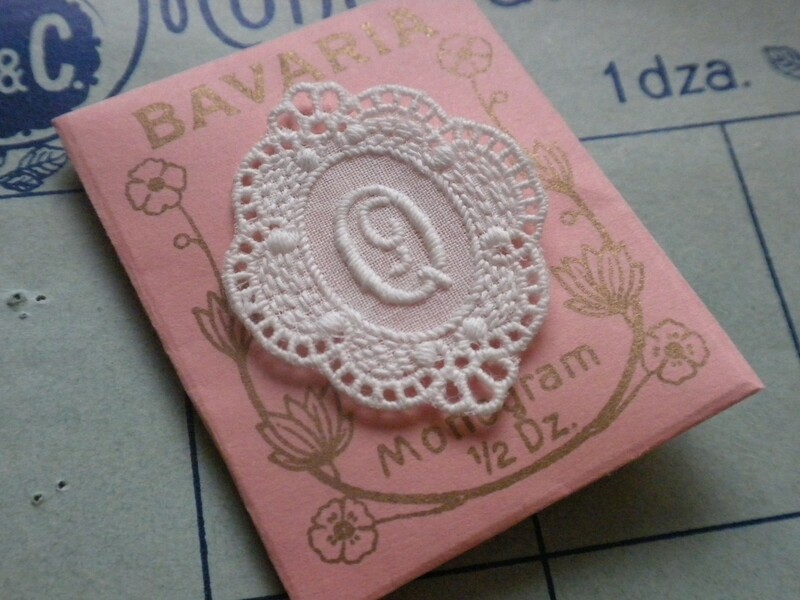 More than half the world's embroidery production came from the region of St. Gallen according to Yebisu. 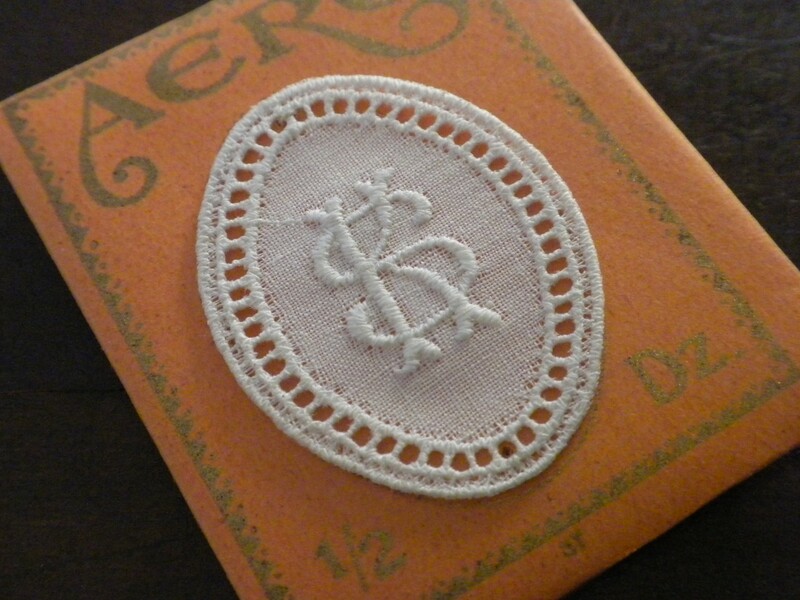 Most of the antique Swiss embroidery stock Yebisu sells dates between 1890 and 1950. 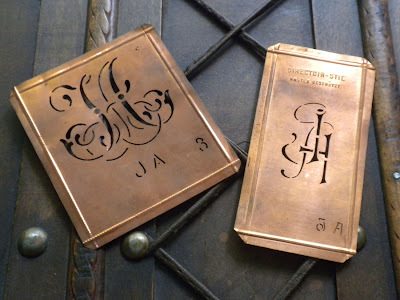 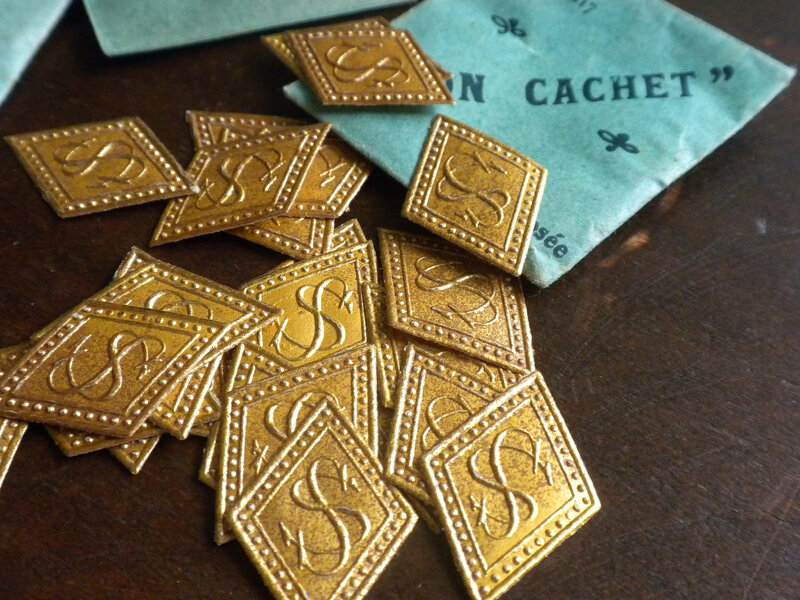 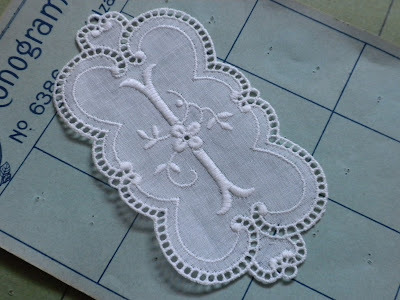 The Art Deco and Art Nouveau style monogram copper stencils were used to paint and sew embroidered monograms on fabrics. 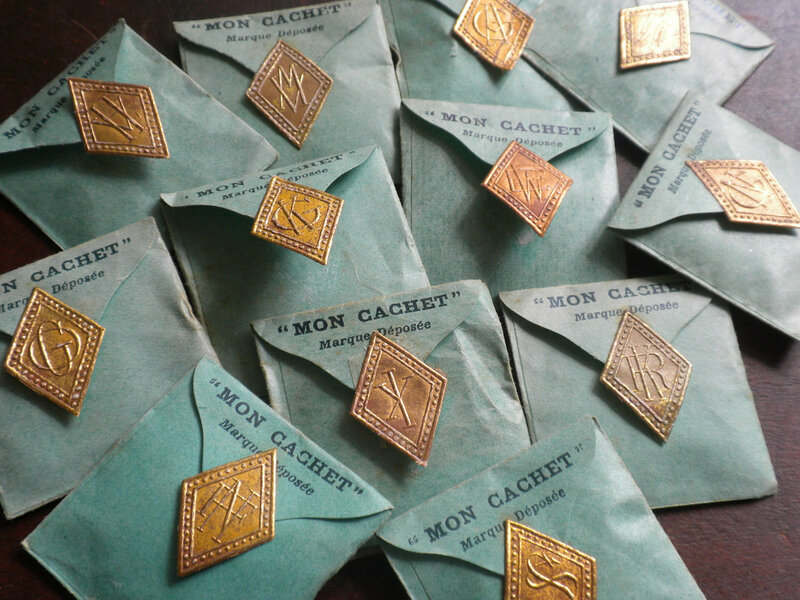 However I think the real gems in this lot are the lovely little envelopes of gold embossed monograms with an aged patina which date between 1890 and 1920.